(Newser) – A faltering Chipotle has stumbled yet again, this time losing its place as the No. 1 casual, fast Mexican restaurant to a chain that has about a third the number of eateries as Chipotle, USA Today reports. 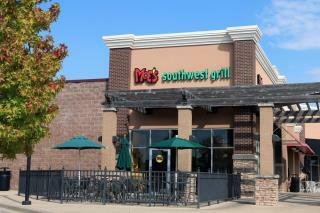 With more than 650 restaurants to Chipotle's 1,900-plus, Moe's Southwest Grill is now the new king of that particular category, according to a Harris Poll survey that queried nearly 100,000 consumers on more than 3,800 brands (including about 60 restaurants). And Chipotle, in the top spot for three years running before it fell victim to a slew of recent food-safety issues, didn't merely drop to second place—it plummeted to fifth, behind Taco Bell, Qdoba, and Baja Fresh. Competition in the category has been fierce, with Mexican eateries all trying to one-up each other in serving up healthier menu items with more selection. USA Today notes that Moe's is especially known for the ample variety of ingredients used to create build-your-own tacos, burritos, and other fare. You can have all those Mexican food chains. If you want good Mexican food, you'll have to come down to my neighborhood and find one of the tiny hole-in-the-wall mama-and-papi places, usually a standalone or in an old strip mall and painted a garish color. Que bueno! They still need shredded beef! I still vote for Chipotle. It isn't authentic Mexican food unless you get the runs.